The Merseyside based Secondary School for Girls underwent a £24 million new school development, moving from their previous home that stood since 1949. The new school’s design was inspired by the local area, taking special inspiration from their connections with the docks and sea. 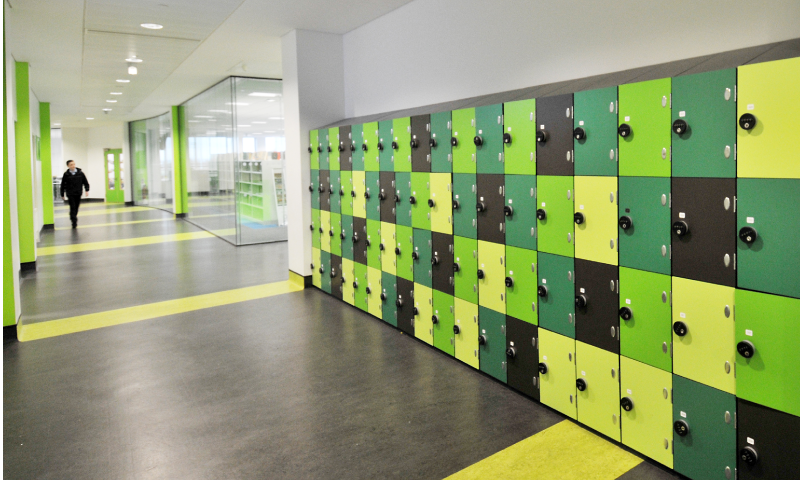 Having worked with Kier Construction on numerous projects, Garran Lockers was approached to design, manufacture and install over 120 bespoke lockers based on our Premier locker range and a selection of products from our cloakroom range including, double sided cloakroom units, benches and hookboards. 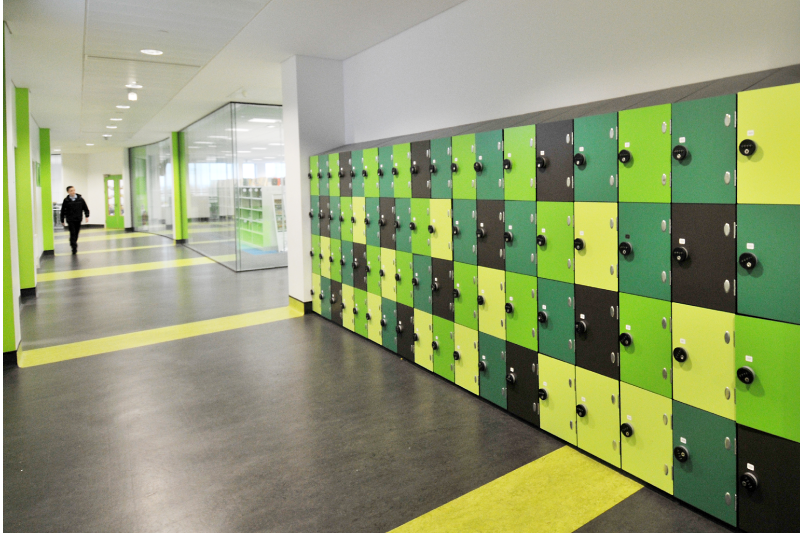 For the main corridor and changing room areas, we provided 4-tier sloping top lockers with brightly coloured solid grade laminate doors each fitted with either our 4-digit combination or hasp and staple locking systems. These lockers are perfect for schools, with both the materials and the design offering a hard wearing and secure solution for years to come. To compliment the lockers in the changing room areas we provided double sided cloakroom units, benches and hook boards from our cloakroom range, all finished in a bright yellow solid grade laminate to match the adjacent lockers.